The Association of Southeast Asian Nations (ASEAN) was inaugurated in 1967, during an era of regional conflict and political irascibility, when relations between the pre-nascent member-states were strained. Aside from the internal discord, extraneous forces such as the Cold War and China’s Cultural Revolution created instability and threatened the security of Southeast Asia. With the diminishing strength of diplomatic ties between the countries in Southeast Asia, the region became even more exposed and vulnerable to the effects of external developments. The establishment of ASEAN addressed this quandary by galvanising its first members around the shared objective of achieving economic strength in hopes of encouraging integration and further cooperation in other areas. Since its inception, ASEAN, now ten member-states strong, has progressed to a point where the sustainability of cohesion in Southeast Asia is significantly influenced by its activities. Through multilateral collaboration within the bloc as well as engagement with other international organisations and countries, ASEAN has augmented its authority and credibility within the international community. Unfortunately, its long-standing policy of non-intervention has affected the ability of member-states to agree upon sensitive issues such as the pooling of sovereignty and human rights. Also, the lack of constitutional emphasis upon these concerns in the Bangkok Declaration (the founding deed of ASEAN) accounted for the lack of political will in defining concrete terms of reference, particularly in the aspect of human rights. Despite constant pressure from the international community to accord legal recognition to human rights, resistance remained high because the hierarchy of rights was constructed disparately within Asia. Most ASEAN leaders considered economic rights to be the most fundamental, while political and civil rights a privilege only to be taken into account when society had satisfactory access to the former. Nation-building was prioritised above individualism, and there appeared no need to change a formula that was fuelling rapid economic progress and improving the standards of living, which ASEAN governments believed was their core duty of care. However, as ASEAN member-states continued to grow and develop economically, the bloc became a focal area for investments. Naturally, an increase in critical attention was expected to be paid to governance as well as treatment of citizens within the region. ASEAN countries could no longer ignore the fact that it was a constituent of the global commune and needed to strategically juxtapose its traditional ideals against moulding a diplomatic profile acceptable to the international community. This revelation led to the tacit acknowledgement among ASEAN member-state that steps towards demonstrating a heightened willingness to share international concerns needed to be taken. This commitment culminated in the drafting of the ASEAN Charter, following the 1993 Vienna World Conference on Human Rights, which aimed to delineate the much anticipated human rights mechanism, among other clauses in the document, thereby signalling the formal accordance of importance to the issue. The objective of the Charter was to address the difficulties faced by ASEAN member-states in handling human rights violations that had manifested in Cambodia and Myanmar, given the bloc’s policy of non-intervention. Regrettably, even with the Charter, ASEAN still has no concrete working mechanisms that can guarantee that all its agreements are strictly adhered to; punitive measures for non-compliance do not exist. The only mention of possible disciplinary action is embodied within the statement, “In the case of a serious breach of the Charter or non-compliance, the matter shall be referred to the ASEAN Summit for decision”. Yet, another clause presents an opposing stance, clearly premised upon the concept of non-intervention; “As a basic principle, decision-making in ASEAN shall be based on consultation and consensus.” Therefore, if a member-state disagreed with any recommendation, an impasse would likely occur, impeding the ability of ASEAN to respond appropriately to infractions. Such a dilemma has resulted in the unrelenting insubmission of Myanmar, which regularly breaches the norms of human rights; most recently in August 2009, when the military junta government extended the house arrest of Aung San Suu Kyi by another 18 months, effectively preventing her from participating in the proposed democratic elections of 2010. Interestingly, as much as it was the obstacle to moving forward on human rights, the key to resolving the moral inconsonance is economic in nature. With increased and sustained economic cooperation, the rich-poor gap among and within ASEAN member-states will narrow, leading to the emergence of a larger, educated and more politically-sentient middle-class, which would rise up against socio-political injustices, compelling governments to act responsibly. Also, growing economic interdependency could well encourage a more rules-based environment within which to operate, spilling over into other areas such as human rights, thus reinforcing positive developments in that area which might already have been set in motion by grassroots movements and eventually shifting political attention to human rights as an issue to focus on independently. 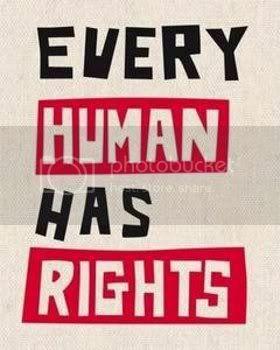 Of course, human rights must not be entirely neglected during this process. It is imperative that access to basic resources such as food, shelter and education is unfettered because sustainability in development is contingent upon the fulfilment of those provisions to society. However, the imposition of a certain human rights ideal on any particular entity should be discouraged; adoption has to be left to occur in a manner best suited to the socio-economic environment of that country or region. Essentially, ASEAN will indeed reach a juncture in its progress where human rights will no longer be considered insignificant or tangential to the lives of its regional citizenry, so long as efforts to enhance economic integration persist. That is after all, the foundation of social stability and advancement.